Hello Loves! I have a new product to show you today that I'm really excited about - Nail Mates! So, what are Nail Mates? They are these neat little caps that you load with special foam pads, add a little acetone, and pop onto your fingers to soak off your gel manicure. You can learn more about them here. They come in a set of 10 caps and 20 pads (refill sets of pads are also available) and are super affordable! A starter set of Nail Mates costs less than box of 100 Gelish Remover Wraps from Sally Beauty Supply. The pads are designed for even acetone distribution, which is really cool in itself. With the foil wraps, I found myself saturating the pad to eliminate the need to add more acetone half way through soak off. With these pads, a few drops of acetone will soak into the pad and you can see it spreading (the pad starts to expand). So not only do you use a lot less acetone, but the pad holds the acetone so there's no dripping. Slip your finger inside the cap so that your nail is against the pad. Then release the sides and wait for the gel to soak off. 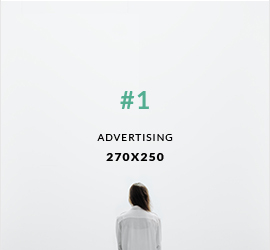 Easy-peasy. The design of the cap applies slight pressure to the pad so that the entire surface of the nail is covered. You might note that the caps don't cover much of the tips of my fingers. When I first opened the pack, I was concerned that my nails might be too long for them. Nope, they fit over my longer nails just fine and the shorter cap allows me to bend my fingers at the first joint - something I can't do with foil wraps. Once the gel has released from the nail (as you know, this varies by brand but I found removal quicker with the Nail Mates for most of the brands I use), remove the caps and simply rinse or wash the caps and the pads. Let them dry and you can use them again! I don't know how many times you can use the pads before they wear out, but I can tell you that I have used the same pads more than ten times now and they haven't started breaking down yet. For me, that would translate to 50 foil removal wraps! Another cool thing that I noticed about these is that I don't have to apply heat. When using foil wraps, I usually stick my hands under a heating pad to help the acetone penetrate the gel. With the Nail Mates, my fingers stayed warm because they trapped my body heat. This gives me freedom to move around while I'm soaking off. As with any new product, there is a small learning curve to using Nail Mates. 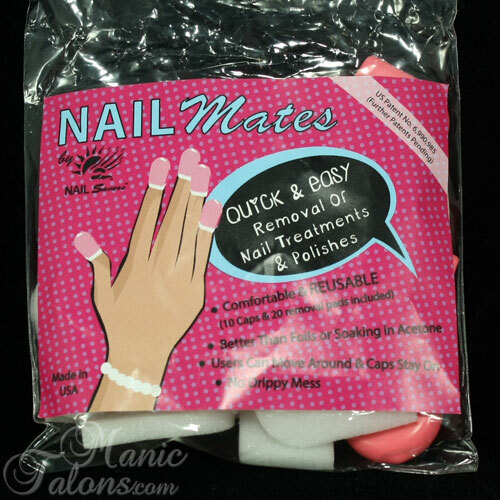 Be sure to check out the Nail Mates Q&A page to learn more about how to use them. The first time I tried them, I over-saturated the pad. Big mistake. The rubber(?) material of the cap has to grip the pad of your finger in order to stay on securely. Too much acetone will cause the inside of the cap to get slick and they'll pop right off. Seriously, a few drops is all you need! Also, if you use cuticle oil prior to soak off, you'll want to make sure the pads of your fingers are free of oil so the caps can grab. So, final thoughts on Nail Mates? Once I got past the slight learning curve (remember, less acetone is more), I love them. Once I realized how much I can do while wearing them, I'm over the moon! Now, if I could just figure out how to type with them on...just kidding. Seriously, huge thumbs up from me for this product. *The products featured in this post were provided by Nail Mates for my honest review. Great review! I might have to pick this up too, less waste. LOL no more foils everywhere! I've been using the rubber fingers, those found at the stationary section of the supermarket. They served the purpose, but the Nail Mates look much better. I should try them. Thanks for the review, Michelle. Hi Michelle, that is huge! I ordered NailMates and used them with my toddlers afoot. I also wiped a tush with NailMates on, but upon dropping the tissue in the loo the NailMates went in too. So beware for the future non-diapering days. Thanks for the tip on pre-loading and adding just a few drops of acetone, as I always did it another way. Will try that! I absolutely love mine. They are quieting awaiting return to duty as I got pg shortly after and the smell of all nail products totally put me off, but with the birth approaching am psyched to pull them back out. Chris (the female NailMates owner) has stupendous customer service. Oh and Michelle, I will remember that as soon as one starts removing polish the little one ill soil a nappy. Will try changing with NailMates on, or just on one hand. Cheers from Belgium!